Paul Ronalds, Monday, 5th February 2018 - Endless charities cannot expect to keep shaking a tin at passers-by on the street corner and hope to remain relevant. We must start working together more effectively, writes Save the Children Australia chief executive officer Paul Ronalds. Paul Ronalds, Monday, 27th February 2017 - To survive in an increasingly highly-competitive and resource-constrained market, the NGO sector must get creative and start working more closely together, writes Paul Ronalds from Save the Children, which has announced it’s second major merger in two years. 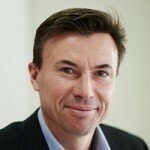 Paul Ronalds, Thursday, 26th May 2016 - Expectations of working seamlessly across multiple technology channels and fundraising platforms is creating added challenges for the Australian Not for Profit sector, writes Save the Children CEO Paul Ronalds, who calls on Not for Profits to remain agile. Paul Ronalds, Wednesday, 11th November 2015 - Too few sector leaders are challenging themselves to put organisational ego aside and focus on whether they are most effectively achieving their mission, writes CEO of Save the Children Australia Paul Ronalds.